Walk through the “hair care” section of your local store and you’ll see droves of shampoos. Walk through the same aisle the next day and you’ll see even newer variants. Having multiple options is great but it also means that you have to work that much harder to find the best one. In fact, you not only have to find the best one but find the best one for your hair type. We understand your plight because this is something that every woman in the country has to go through at least once in her lifetime. This is why we’ve not only found the 10 best women’s shampoo in the market but put them into specific categories. If you know your hair type, then feel free to skip to our top pick for that category via the following navigation panel. However, we recommend going through them one by one because it is likely that your hair type qualifies for more than one category. An argan oil shampoo meant for hair repair that can be used for all types of problems and hair types. The perfect solution to severe problems of dandruff, seborrheic dermatitis, flakes, and itchy scalp. The epitome of organic shampoos that is a luxury every woman must try at least once in her lifetime! Dry hair may not be frizzy but frizzy hair almost always lacks moisture. Therefore, the one thing that dry or frizzy hair absolutely needs is conditioning. However, because dry and frizzy hair is also delicate, the conditioning needs to be very gentle, mild, and sensitive. Moroccan argan oil is a proven solution for dry and frizzy hair. Argan oil, in fact, is the go-to ingredient for most shampoo manufacturers when they want to give their shampoo formula moisturizing qualities. 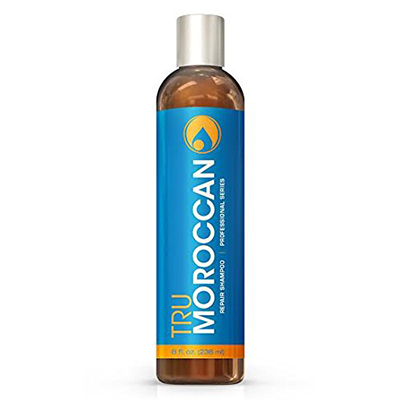 While you can use any argan oil shampoo for your dry or frizzy hair, we recommend the Tru Moroccan Professional Series Repair Shampoo. Despite its name, this shampoo isn’t manufactured in Morocco. It still deserves the name because it uses authentic Moroccan argan oil. Moisturizing hair isn’t even this shampoo’s primary goal. Instead, it is supposed to be a repair shampoo. In fact, it is a very effective repair shampoo. Even users with severe hair damage such as that caused by psoriasis say that it has resolved their problem. Dry or frizzy hair isn’t really damaged but it’s on its way to that state. Since this shampoo can deal with even worst-case scenarios of hair damage, it is particularly useful in dealing with dry or frizzy hair. Further, this shampoo has even been known to bring relief to people suffering from dandruff. This formulation is quite gentle and mild as well. It also doesn’t contain parabens or sulfates. This means that you don’t have to worry about adverse reactions even if you’re allergic or hypersensitive. It’s natural and gentle nature further means that it will leave you with especially soft hair after washes. Even the smell is going to be pleasant since this shampoo is known for its fresh citrusy smell. We should also mention that this shampoo is hair type neutral i.e. it suits all types of hair. The exception here is color treated hair as there are some cases where it has stripped the color out of the hair. On the downside, this shampoo doesn’t lather up that well owing to its thin and watery consistency. You’ll have to use a good amount to get the lather you want. Don’t worry, though. The shampoo is affordable enough for you to not worry about using too much of it. We don’t recommend using this shampoo if you already have oily hair. It will just end up making it extra greasy. Who’s it for: If you have dry or frizzy hair and are looking for an all-natural shampoo to remedy the problem, get this one. There are multiple causes for damaged or thinning hair. Whether they’re external or internal, their basis is the same i.e. not enough protection and nourishment for the hair. The best way to deal with damaged or thinning hair is to protect them from further damage while nourishing them. This is why natural shampoos are recommended for people with such hair. 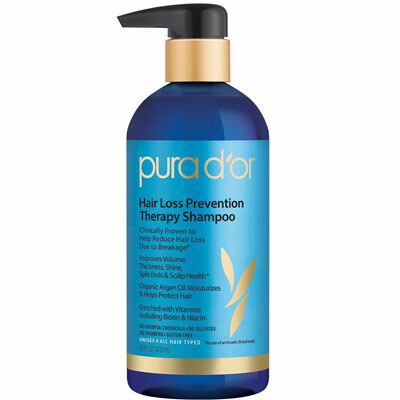 This shampoo from PURA D’OR is specifically designed to help with thinning hair and, by extension, damaged hair. It is an extremely gentle product which means that it can be used on a daily basis without any side effects. Its mildness also means that it doesn’t irritate the skin and scalp of extra sensitive people. However, its greatest quality is that it can reverse time. While it won’t send you to the past, it will still thicken and add volume to your hair. It is so effective for thinning and damaged hair because of its all-natural ingredients. Its three primary ingredients are argan oil, biotin, and niacin but it also contains other helpful ingredients such as green tea, saw palmetto, rosemary oil, black cumin seeds, amla oil, and hibiscus. Each ingredient serves a purpose in this formula. For instance, while argan oil moisturizes the hair, biotin and niacin provide the much needed nourishment. Even secondary ingredients add unique properties into the mix. For example, hibiscus offers vitamin C, saw palmetto is a powerful DHT blocker, black cumin seeds counter infections, and rosemary oil has anti-inflammatory and circulation boosting properties. Between the various naturally occurring ingredients, this shampoo’s formula manages to address all major causes of hair loss. The end result is thicker, shinier, fuller, and bouncier hair. The fact that this shampoo is completely natural helps in its own way since it eliminates exposure to harmful substances like parabens and sulfates. Additionally, this is also a cruelty free product. While this shampoo has an incredible success rate, it is still not 100 percent but that is understandable because some types of hair thinning and damage are irreversible. It is also possible that some users may find their hair extra dry after using this product. This is mainly due to its cleansing properties. Luckily, this is a problem that can be resolved with the use of a good conditioner. You should also be aware that this is one of the more expensive shampoos on our list. Still, for an all-natural shampoo with the kind of success rate it has, it is well worth the expense. Who’s it for: If your hair is thinning or damaged and you’re looking for a premium quality all-natural solution, get this shampoo. Technically, this isn’t a shampoo. It is a No Poo. This means that it doesn’t contain any harsh cleansing components such as sulfates. If you’ve researched how to maintain extra curly or coarse hair, you would’ve come across the concept of co-washing. Co-washing is a technique that is recommended for women with extra curly hair. It basically involves giving up traditional shampoos altogether and instead washing hair with conditioners. As co-washing has grown in popularity, manufacturers started introducing cleansing conditioners. The DevaCurl DUO is the best of that group. This combo consists of a no poo or cleansing conditioner and a traditional conditioner. This is important too because moisturizing your curly hair could be the best thing you do for it. If you have especially curly and coarse hair that needs excessive moisturizing, DevaCurl Decadence combo is what you should look at. That set has even more moisturizing power than this one and that is saying something. The moisturizing power of DevaCurl comes with an added benefit. It can help deal with dry and flaky scalp or dandruff as well. Dandruff is caused by excessive dryness and since No Poo is excellent at moisturizing hair, it helps control dandruff too. However, if your hair doesn’t need moisturizing then these are not the right products for you. If you insist on using either of them on already oily hair, you’ll just end up with incredibly unpleasant and greasy hair. Another great quality of this no poo – conditioner combo is that it works on color treated and chemically treated hair. This is largely because it doesn’t contain sulfates, parabens, or other artificial substances that are proven to be a problem for hair treatments. While this is an excellent product, it isn’t completely without its flaws. One of these is the smell. Even though most people won’t have a problem with its smell, it is different enough to not appeal to a few. Smell is subjective anyway so whether you like it or not depends entirely on your preferences. A much bigger problem is that there are counterfeits in the market. 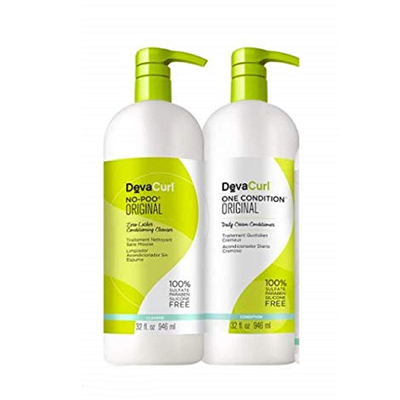 Also, some people confuse DevaCare for DevaCurl. DevaCare is meant specifically color or chemical treated hair and shouldn’t be confused with DevaCurl. You’ll also have to stump up a considerable amount of money for this no poo – conditioner combo. However, it is the best no poo product so maybe that expense won’t bother you so much. Who’s it for: If you’re into co-washing and want a no poo then this is the product you should get. How you deal with dandruff depends entirely on what is causing the problem in the first place. While excessive dryness can cause dandruff too, the majority of people suffer from dandruff because of fungal infections on their scalp. One of the best ways of countering such infections is ketoconazole and when it comes to shampoos containing this class of drug, no other shampoo has a greater success rate than this one from Nizoral. The biggest problem with using anti-dandruff shampoos is that they tend to be too strong and cause side effects. However, that isn’t true with this one. This shampoo from Nizoral only contains 1% ketoconazole which means that it is a lightly formulated shampoo. And yet, it has proven to be hugely successful. It doesn’t only deal with your run-of-the-mill dandruff but even serious cases caused by problems like seborrheic dermatitis. Naturally, this also means that this shampoo is good at dealing with less severe problems like excessive dryness, itchiness, irritation, and flaking. 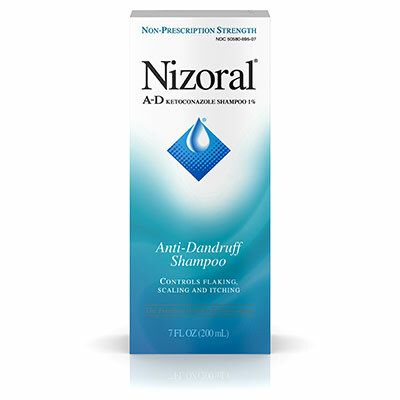 The best part is that this Nizoral shampoo deals with dandruff while being gentle on the scalp and the hair. This is a rare combination since most anti-dandruff shampoos tend to be too strong. In fact, this shampoo is gentle enough to be suitable even for women with color or chemically treated hair. Further, it will leave your hair extra soft after every wash. It even smells great. Even though a few people may not like the medicinal nature of its smell, we along with many other users found it quite pleasant. This shampoo also produces a good amount of lather and a little will go a long way. Also, you don’t have to use this shampoo every day to deal with your dandruff problem. The company only recommends two uses per week. All of this makes this shampoo fairly affordable in the long run even though the bottle is priced expensively. The company is also offering an 8-week money back guarantee so there’s no real reason to not give this product a try. Who’s it for: If you want a gentle solution to your dandruff problem and want to side step all the side effects, go for this shampoo from Nizoral. There is no knowing what kind of damage artificial ingredients can do to your hair. Artificial ingredients in shampoos almost always carry the risk of side effects. This is precisely why women prefer organic shampoos over artificial ones. There’s also the fact that by using natural shampoos you’re helping the environment too. The downside of using any great organic shampoo is cost. All good organic shampoos tend to be luxury or premium products that cost much more than normal shampoos. 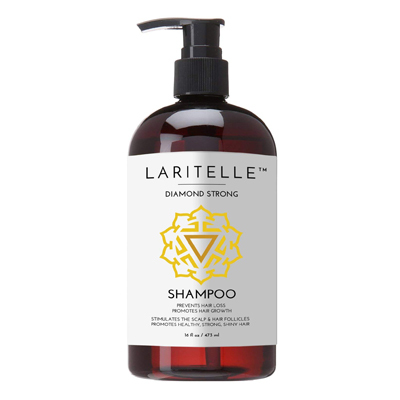 The Organic Diamond Strong Shampoo from Laritelle fits this description perfectly. It’s an all-organic shampoo which means that it has no artificial substances including sulfates and parabens. This shampoo is great at not only cleansing your hair and scalp but has other more important qualities as well. For example, this shampoo is known for preventing hair loss while simultaneously promoting new hair growth. The best part is that it does all of that while being amazingly gentle and mild on your hair and scalp. Its mildness also means that this shampoo will not cause any problems for women with color or chemically treated hair. This rare combination of gentleness and effectiveness is the reason why this shampoo has received such rave reviews from users all over the world. The company behind this product, Laritelle, seems to be committed to the concept of healthy living and especially focused on energy balancing. This is something that reflects in the composition of this shampoo. It contains a number of organic ingredients including jojoba and argan oil as active agents and other essential oils drawn from cedar wood, ginger, lemongrass, and rosemary. Both jojoba and argan oil are great moisturizing agents and also contain a number of vitamins and minerals. As a result, they counter dry, itchy, and flaky scalp while nourishing hair follicles. With hair follicles being revitalized by these and other nutrients, hair regrowth becomes a possibility. Apart from their primary properties, these ingredients also give this shampoo a very soothing and pleasant smell that can only be described as woody, fresh, clean, and even uplifting. Who’s it for: If hair care is more than just a chore and you treat it as a ritual, then this all-natural shampoo with aromatherapy and energy balancing properties will be an excellent option for you. Women are expected to have full hair. This is why hair loss almost always hits women harder when compared to men. It can affect their self-confidence even more than wrinkles do. If you’re one of these women and are trying to grow hair back, then we understand what you’re going through. More importantly, we’ve found a product that can genuinely help you. 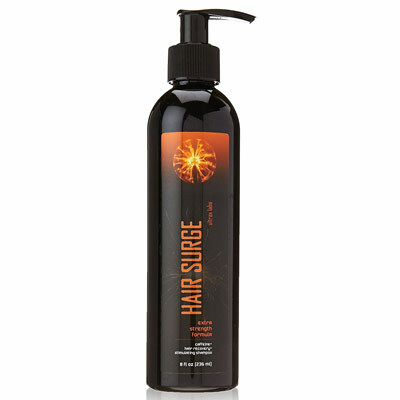 The Ultrax Labs Hair Surge is a hair growth stimulating shampoo that has a caffeine based micro-formulation. The key thing here is that this is an immensely successful shampoo that has helped countless people grow their hair back. It boasts of a proprietary formula that is based around caffeine. However, the formula also contains saw palmetto and ketoconazole. 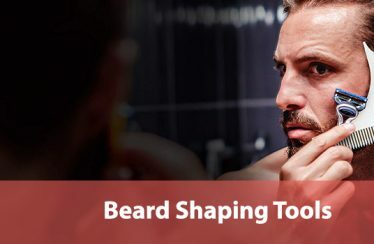 The caffeine compounds in the formula are stimulants that re-activate hair follicles while simultaneously countering the effects of excessive testosterone. Additionally, saw palmetto is one of the most potent DHT blockers in nature. Between caffeine compounds and saw palmetto, hair loss caused by excessive testosterone is nullified. Ketoconazole has a different purpose in the formula, however. It is an anti-inflammatory and anti-fungal agent that counters any hair loss occurring through infections and inflammations. All of these ingredients combine to make this one of the most effective hair regrowth shampoos in the industry. The problem is that its effects only last till you’re using the shampoo. The moment you stop using it and switch to another shampoo, you’ll lose all its benefits. Further, this shampoo is also not good for people who like a lot of lather. 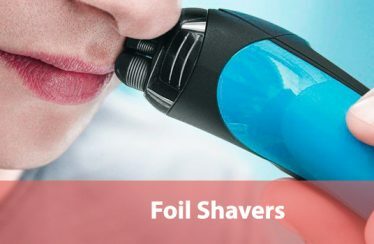 It just doesn’t produce enough and you may have to use a lot of it if you want lathery satisfaction. This shampoo also contains sulfates, which is a harsh artificial substance that may not suit women with extra-sensitive skin and scalp. The shampoo is cruelty free, however, so your conscience will be clear. Who’s it for: This unique shampoo is perfect for women who’re battling with serious hair loss and are looking for something that will help them regrow hair. Hair strengthening is all about providing your hair follicles with the right nourishment. If you can supply sufficient nutrients to your hair follicles, your hair will become stronger in the most natural way possible. The best nutrients are sourced from naturally occurring ingredients. The problem is that the majority of natural shampoos in the market are unable to reach the hair follicles. You see, a natural shampoo by definition will not contain artificial cleansing agents like sulfates. This means that their cleansing power is not very strong. If detritus like dry skin, flakes, products buildup, and dandruff are not removed from the scalp, the nutrients will never reach the follicles. This is a problem that Maple Holistics seems to have resolved with its Biotin Shampoo for Hair Growth and Volume. They’ve managed to develop an all-natural shampoo that is also strong. In fact, this shampoo is so strong that it can deal with excessive testosterone in your scalp too. 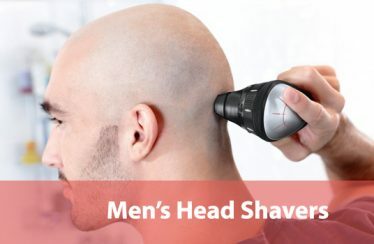 This helps greatly because excessive testosterone causes hair to weaken and drop off. It even aggravates the problem further by slowing down hair growth. The primary ingredient in this shampoo, though, is biotin. Traditionally, biotin is known for strengthening existing hair and encouraging new hair growth as well. 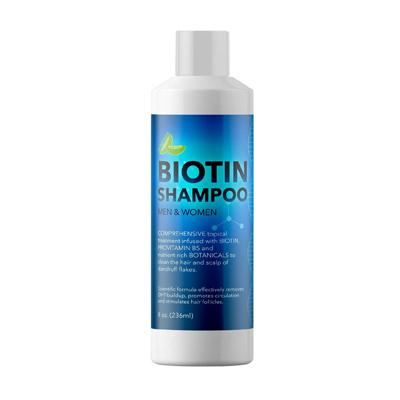 All the other naturally occurring ingredients in this shampoo support biotin’s action and nourish the hair follicles. They also combine to create a very unique scent that is not only pleasant but also relaxing and soothing. This isn’t usually seen in strong shampoos where smells tend to be too strong. The strength of this shampoo also means that it lathers well. This is incredibly rare in a shampoo that doesn’t contain sulfates. This shampoo is also free from parabens. This shampoo, unfortunately, is a bit too strong for women with sensitive skin and scalp. You can try to use it but be careful because it may cause irritation. Another downside of its strength is that it isn’t recommended for color or chemically treated hair. It will strip away all the benefits very quickly. Finally, its strength also means that it may dry some women’s hair too much. In fact, it may not even work for a few women as evidenced by a few users complaining of its ineffectiveness. Who’s it for: If what you need is a strong but all-natural shampoo, then this shampoo will fit your needs like a glove. Limp hair is a symptom of unhealthy hair. Lack of sufficient nourishment also means extra dry hair. When this continues, limp hair will often become frizzy and start looking even more lifeless. Therefore, if you’re looking to add volume to your hair, then you want a shampoo that will condition your hair but also provide the right nourishment. Andalou Naturals Lavender & Biotin shampoo fits the bill. How does this shampoo help? The name says it all. Biotin is well-known as a nourishing agent for hair and skin. Similarly, lavender is recognized the world over for its moisturizing properties. The two combine in this formula to provide the perfect solution to limp and lifeless hair. These two, in fact, are used together quite often in natural shampoo formulations. With the Andalou formula, however, there’s a difference. Here, lavender has been given as much importance as biotin and this has increased the moisturizing properties of this shampoo. As a result, this shampoo is incredibly effective in adding body, bounce, and volume to lifeless hair. Gradually, as this shampoo will nourish your hair, you’ll start seeing more vibrancy and shine. Further, it will soften them too which will make it easier for you to style them. Since it contains lavender, this shampoo also leaves a very pleasant smell in the hair. The vast majority of women like its smell but whether you like it or not will depend on your preferences. Even though this is a very effective shampoo when it comes to volumizing hair, some users say that it failed for them. 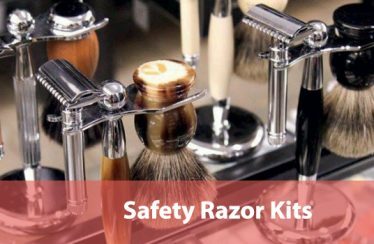 This could be related to the severity of the problem or even the manner in which they use hair products. Similarly, there are some others that claim that this shampoo is a bit too strong and leaves their hair dry. This could be a concern because this shampoo does produce lather which is a sign of a strong shampoo. At the same time, a number of women have used this shampoo on their color treated hair without any side effects, which says that this shampoo isn’t too strong. Further, this shampoo’s formula is free from artificial substances such as sulfates and parabens. In our opinion, this is a good shampoo that is good at what it claims to do. We didn’t find it too strong and it did work for us so we’ll recommend it to you freely. We do have some concerns about counterfeits and the new formula from the company, though. 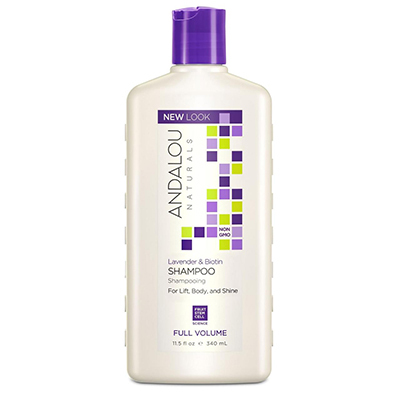 Who’s it for: If you want a naturally volumizing shampoo with an intoxicating lavender scent, then get this one from Andalou Naturals. Your hair is your style statement. Women, and indeed men, change hair coloring as a form of self-expression. However, with great colored hair comes great responsibility. You can’t keep colored hair the same way that you keep normal hair. It needs special attention and care. It needs the right kind of hair product. It needs hair products that are designed specifically for colored hair. For example, if you don’t use the right shampoo on your colored hair, you’ll soon start losing the color that you paid so much to get. In fact, if you truly want to preserve that color, then you’ll have to get a high-quality shampoo meant specifically for colored hair. The ORIBE Shampoo for Beautiful Color deserves to be that shampoo purely on the basis of how good it is. This is one of the gentlest and mildest shampoos you’ll find in the market when it comes to colored hair. It has excellent moisturizing qualities as well, something that is crucially required for colored hair. However, where this shampoo really excels is in preserving hair color. It negates the effects of pollutants in the air and water alike and prevents the hair color from disappearing. It even helps against the bleaching properties of too much sunlight. This shampoo doesn’t only protect the color on your hair but also your hair from any aftereffects of color or chemical treatments. If you have over-processed or damaged hair from such procedures, then this shampoo will help there too. It does all these things on the back of its composition. The shampoo is built around the company’s Signature Complex which comprises edelweiss flower, lychee, and watermelon extracts. According to the company, this complex directly counters “photo-aging” and “oxidative stress”. Apart from these ingredients, this shampoo also contains bioflavonoids, and baobab tree extracts. It even boasts of having kaempferia galanga root extract which can protect the hair from damage caused by ultraviolet rays. The cherry on the cake is that this shampoo will leave your hair smelling amazing too. There’s no way for us to describe the smell to you because of its uniqueness but most of its users love it. This shampoo also doesn’t contain parabens, which is always preferable in shampoos. The biggest issue with this shampoo, however, is its cost. Being a luxury product, this is one of the most expensive shampoos we’ve seen till now. The good bit, though, is that it will last you a long time because you don’t need to use a lot of it in every wash. There are also some concerns about this shampoo not having the right impact on some women’s hair but that could be because of another issue – counterfeits. Who’s it for: If you like to color your hair and understand that excellence comes at a price, then this shampoo was made for you. Blondes love their hair and rightly so. Blonde hair is considered to be beautiful the world over. The hair care regime for blonde hair, however, is different and more difficult than other types of hair. You can’t use normal shampoos on blonde hair. Normal shampoos can discolor that lustrous blonde hair to the reviled brassy shade. This is why blonde women tend to prefer purple shampoos. As per color theory, purple counters the undesirable brassy yellow shading. 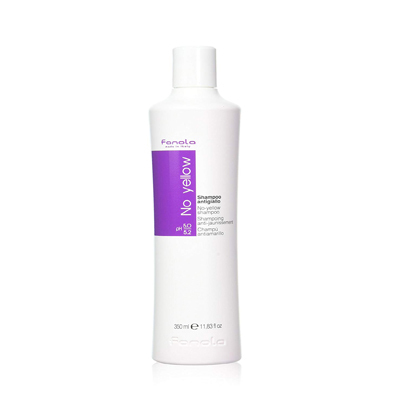 Fanola No Yellow Shampoo is easily the most popular purple shampoo in the world. It is an extremely effective purple shampoo, regardless of whether you’re a natural blonde or have colored your hair blonde. The reason why it is the gold standard when it comes to purple shampoos for blonde women is its intensity. This is easily the strongest purple shampoo out there when it comes to its pigmentation. In fact, it is strong enough to handle yellowness in the most bleached hair possible. Experts say that this shampoo is ideal for hair that has been bleached to level 8 and above. In fact, it is so strong that some users and even some stylists call it toner instead of shampoo. It is useful for gray and super lightened hair as well. This also means that you have to be ultra-cautious of the time you leave this purple shampoo in your hair. You can’t just apply it and leave it in your hair for five minutes like you may have done with other purple shampoos. If you do this, this shampoo will leave purple streaks in your hair. At most, you have to apply this purple shampoo to your hair for two minutes with one minute being a safer choice. As a matter of fact, you need to use this shampoo very carefully. It has the potential to not only leave purple streaks in your hair but also color your hands, skin, and the tiles around you purple. This shampoo also has a strange scent that you may or may not like. The verdict on its scent is divided right down the middle amongst its users. Further, this shampoo will do nothing else for your hair in terms of nourishment or conditioning. However, it does contain sulfates, which means that you’ll get a good wash out of it. Who’s it for: If you have blonde hair that is yellowing or developing that revolting brassy shade, then get this purple shampoo.